The last case in a series of Bard Avaulta Mesh bellwether trials has settled just weeks before it was scheduled to go to trial. Anyone paying attention could see this coming. C.R. Bart does not want to take another verdict in these cases. Why not just work harder to settle them all? Well, that is a question I don’t have an answer to… it just makes no sense. It is going to happen soon. But I think Bard’s defense counsel is going to make a lot more money first. While details of the settlement have not been disclosed, it brings an end to the three cases chosen for early trial dates in attempts to assist the parties gauge how juries might respond to evidence and testimony that will more than likely be repeated through the litigation of these cases. The first of the three bellwether trials, tried last July, resulted in a $2 million verdict against Bard, $1.5 million of which was awarded in punitive damages, designed to punish the medical device manufacturer for their actions surrounding the design and sale of the product. The second trial began and ended on the same day in August 2013, when the parties reached a confidential settlement agreement during the first day of trial. While the outcome of these early trials are not binding on other cases, they are designed to facilitate vaginal mesh settlement negotiations in the thousands of cases filed throughout the country. Bard knows another verdict is going to send the value of these cases through the roof. So the only case they will have the guts to try is going to be one where the facts are awful for the plaintiff. There are not too many of those cases out there in this litigation. It is estimated that more than 100,000 women have undergone a transvaginal mesh implant surgery to treat pelvic organ prolapse (POP) or stress urinary incontinence. According to FDA reports, approximately 10 to 20 percent of women experience vaginal mesh sling failure and must undergo additional medical treatment. An additional surgery poses its own, in addition to being costly. For some patients, even multiple procedures may not fully remove the surgical mesh implant and the failure to remove the implant can cause additional health concerns in the future. In some cases, multiple revision surgeries have been necessary to reverse the damage caused by a defective vaginal mesh device. 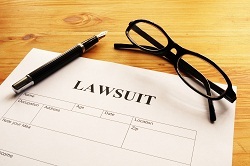 The vaginal mesh lawsuits all involve similar allegations- allegations that the manufacturers failed to provide adequate information for women and the medical community about the risk that the vaginal mesh products may cause severe and disfiguring complications. Complications such as erosion, extrusion, infection, sepsis, dense adhesions, and worsening dyspareunia. Those are some pretty serious complications. Filed in both state and federal court, more than 50,000 women are pursing vaginal mesh lawsuits. In addition to C.R. Bard (more than 7,000 cases), cases are filed against American Medical Systems (AMS – more than 16,500), Ethicon (14,679), Boston Scientific (9,776), Coloplast Corp. (1,267), Cook Medical (173), and Neomedic (approximately 25). Even if settlement negotiations fail, plaintiffs’ attorneys are optimistic that victims will eventually prevail. If you or a loved one has suffered from complications or side effects of transvaginal mesh, we encourage you to reach out as thousands of before you have. You could be entitled to money for your pain and suffering, lost wages, medical bills, and other damages that are related to your complications. Contact us here or by calling us at 800-553-8082.